Anthony Charles “Tony” Nuetzi died on Friday, May 25, 2018 at the age of 81. Born on April 21, 1937 in Milwaukee, WI he was the son of the late Julius Nuetzi and Olga Pauli Nuetzi, who were both from Switzerland. 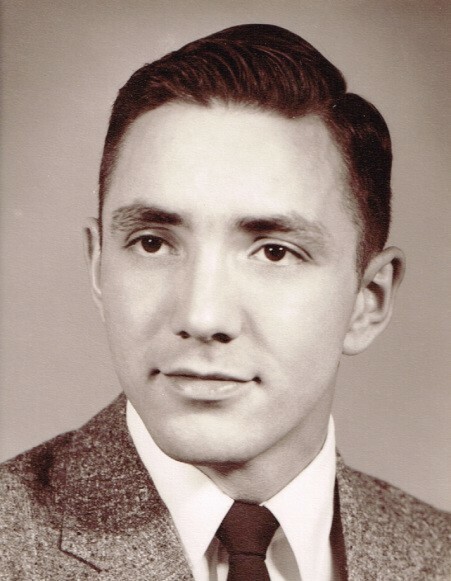 He graduated from St. Francis High School in St. Francis, WI in 1954 and received an associate degree from Milwaukee Institute of Technology in Milwaukee, WI in 1960. He served his country in the National Guard and received an honorable discharge March 31, 1963. Tony was married to Mary Ann Kiesl Nuetzi on May 7, 1960 at Leo Catholic Church in Milwaukee, WI. During his working career he was staff manager for thirty-one years with Bellsouth and six years with Northern Telcom. In 1994 they moved from Atlanta, GA to Eatonton, GA where Tony was very active in community affairs. He was the manager of PARES and the Emergency Coordinator for Putnam and Greene County. He also was the Captain for the Putnam County Fire Department where he served for seventeen years. His hobbies included electronics and ham radios and he headed the Ham Radio Group in Putnam County. Tony was a member of Christ Our King and Savior Catholic Church and the Knights of Columbus. Survivors include his wife of fifty-eight years, Mary Ann Nuetzi of Eatonton, GA; a daughter, Julie Ann Jermyn (Mark) of Omaha, NE; a son, James Anthony Nuetzi of Orlando, FL; sister, Dora Nuetzi of Maryknoll, NY; three grandchildren, Isabel Nuetzi, Olivia Nuetzi and Andrew Scott Campbell; many other relatives and friends. A funeral mass will be held at 10:00 a.m. Wednesday, May 30, 2018, at Christ Our King and Savior Catholic Church, 6341 Lake Oconee Parkway, Greensboro GA 30642 with Rev. Young Nguyen officiating. The family will receive friends Tuesday night at McCommons Funeral Home from 6:00 p.m. to 8:00 p.m. Any memorials may be made to the Knights of Columbus c/o Christ Our King and Savior Catholic Church, 6341 Lake Oconee Parkway, Greensboro GA 30642. McCommons Funeral Home, 109 W. Broad St., Greensboro, GA, (706) 453-2626, is in charge of arrangements. Visit us at www.mccommonsfuneralhome.com to sign the online guest register.